You will find press reports and images concerning the exhibitions and events at the Maison Jean Vilar. 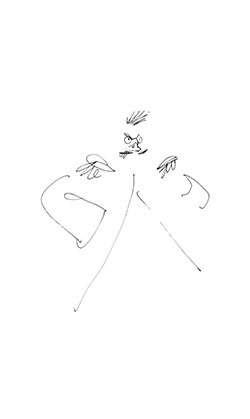 Cabu, who was known and recognised for his illustrations in Hara-kiri, Charlie Hebdo, or the Canard Enchaîné, also used his talents as an exceptional cartoonist to sketch the world of theatre. From the 60s onwards, Cabu went to the theatre several times per week. He was a passionate theatre-goer – private and publicly funded theatres alike – but with a particular attachment to the Comédie-Française. A journey in 34 drawings in the new exhibition area of ​​the Maison Jean Vilar hall.